Our interactive books for children utilize the power of visual strategies so beginning readers can learn to associate pictures with words. Students move and attach picture cards with hook and loop fasteners to match, identify, label, sequence and create sentences while learning to read! 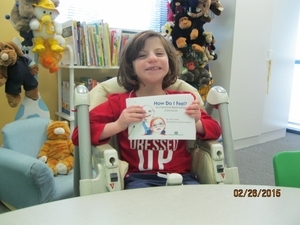 These interactive books are fun and rewarding for children with and without special needs. All of our products can be ordered individually as well as in bundles! See our two NEW BOOKS and our CORRELATED SOFTWARE! Spanish edition in stock, too! The Pro and Home versions of our apps are now available in 8 languages: English, Spanish, French, German, Russian, Swedish, Chinese, Japanese. Interactive reading books may be purchased separately or in sets.